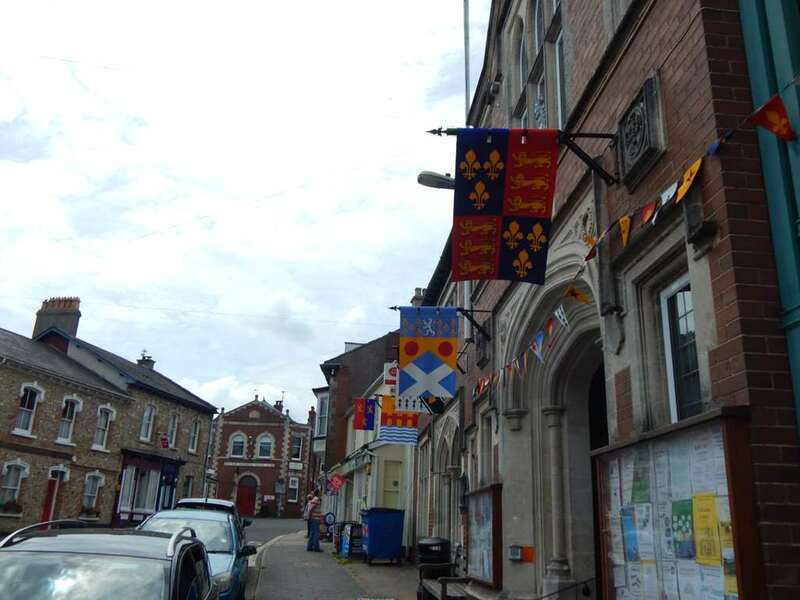 Colyton is looking very inviting this summer with the new Heraldic banners now in place. The banners represent many important families from Colyton`s historic past and will be displayed from June til mid September every year. There is a booklet available for sale from The Little Shop containing information about the Coats of Arms that feature on the banners.